How to Be Greener with Your Printing | TonerGreen - Eco-Friendly Toners from the U.S.
"Go Green" is a phrase that's starting to cause some buzz around the world. What does it mean? Modern environmentalists developed this catchy line to make everyone aware of the unnatural changes occurring in our planet and to provide us with a challenge to do something about it. "Going Green" means supporting products and services that help benefit the environment. Going Green is starting to pick up steam in many industries and the printing industry is one of them. From producing printers with eco-mode or energy saving features to developing printers using ink from soy bean or coffee dregs, smart printing companies are starting to be aware of the benefits of going "Green". How about you? Are you one of them? 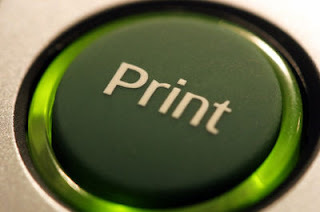 Are you starting to go green with your printing? If not, let me give you five easy ways on how to be green with your printing. Go Green with Your Printer - Printing corporations and manufacturers are developing a large number of eco-friendly printers. Some of these printers are equipped with eco-mode, saving energy when it is not in use, while others are printers that use coffee or tea dregs as ink. Look for that Energy Star - When a product is labeled an Energy Star Product, it simply means that the product is energy efficient and doesn't lack any features or overall quality to make it that way. Buying products approved by Energy Star is one of the best and easiest ways you can limit your energy consumption. Be Careful on What You Print - You can help save energy and time by using duplex printing, a feature that automatically prints on both side of the page. If possible, use the fewest number of pictures or images on your printed documents. Use Recycled Paper - Did you know that 3 to 6 billion trees are being cut down per year? Paper is the largest waste product in printing and by using recycled paper, you can save a considerable amount of trees in the forests. There are a lot of good recycled paper out there. Why don't you grab one of those the next time you decide to buy and help save a tree. Support Recycled/Re-manufactured Toner Cartridges - A printer toner cartridge is composed of 40% plastic, 40% metal and smaller percentages of rubber, paper, foam and toner. The plastic is made of an engineering-grade polymer that takes 1,000 years to decompose.On a yearly basis, there are 375 million used toner cartridges put in our landfills. By using recycled cartridges you can minimize that number. It doesn't need much effort for you to start living Green and going Green with your printing. Show some love for our planet in this simple way. When will you start going green with your printing?